Usually family cars are pretty boring, but not when they a have a 5.0-litre V10 engine! 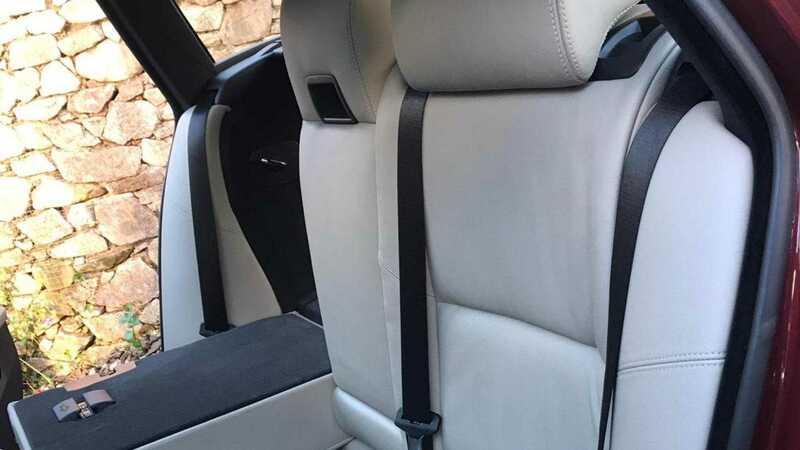 The E61 BMW M5 is a very special load lugger. 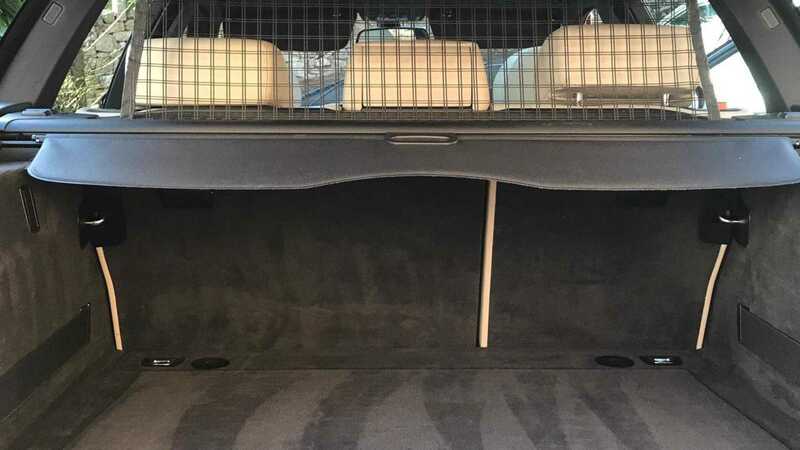 Family cars are the workhorses of the automotive world as their less than glamorous jobs of carting the family and a dog around is a thankless task. Sadly, history forgets many of these practical machines, but not the E61 BMW M5 Touring. You see, while this premium estate car was capable of the boring jobs a wagon needs to do, it also packed a V10 engine under the bonnet. Suddenly dropping the kids to school or disposing of the Christmas tree became the perfect excuse to unleash this supercar-engined machine. Firstly, a bit of context. It might sound like BMW designers had a few too many steins of beer before suggesting a V10 engine for an otherwise sensible car, but there was a method to their madness. BMW had been supplying Formula 1 team Williams with V10 engines since 2000, and then joined forces with Sauber thereafter. Its motorsport engine was seen as the pinnacle of BMW’s performance engineering. 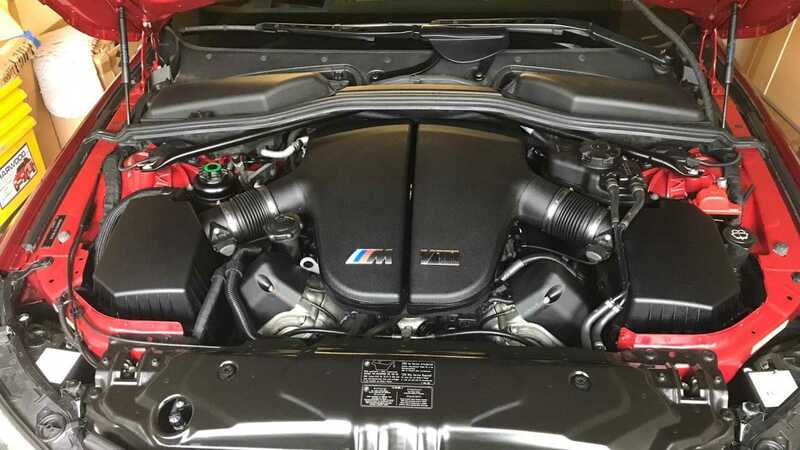 With the old saying of ‘win on Sunday, sell on Monday’ in the minds of engineers and marketers, it seemed logical to develop a V10 for the flagship BMW M5 - logical being a relative term here. 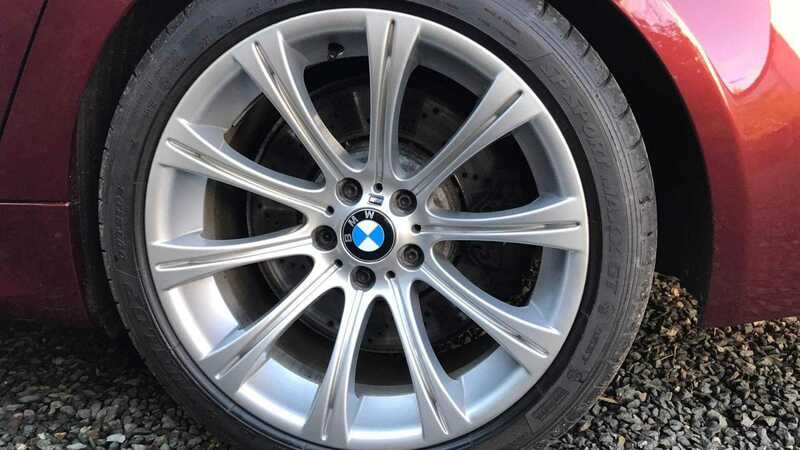 Launched in 2005, the E60 BMW M5 produced 507bhp from its 5.0-litre V10 engine. It captured the attention of enthusiasts immediately with that ten-cylinder motor adding to the sharp handling M5. An E61 Touring variant added plenty of practicality over the standard saloon car, but it retained that monstrous powerplant. 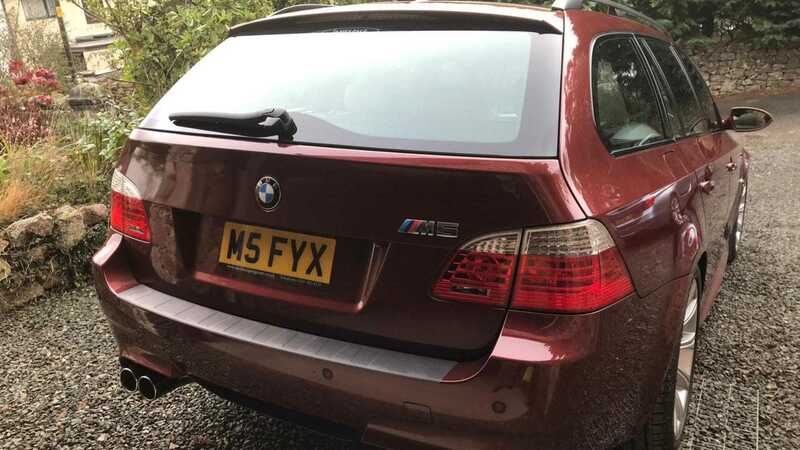 Its 0-62mph time of just 4.9 seconds made it just 0.1s slower than the saloon and faster than a Porsche Boxster S.
Arguably the ultimate ‘sleeper’ car, this BMW M5 is up for auction on Norman’s Pond. It hasn't met its reserve, so it's still up for sale. 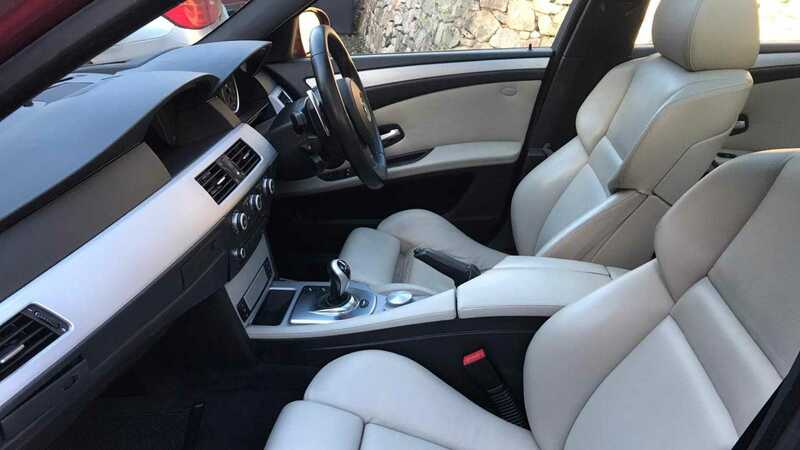 Making this example even more subtle is its burgundy paintwork and cream leather seats. It’s the sort of car that only real enthusiasts will spot and truly appreciate - a future classic in the making. 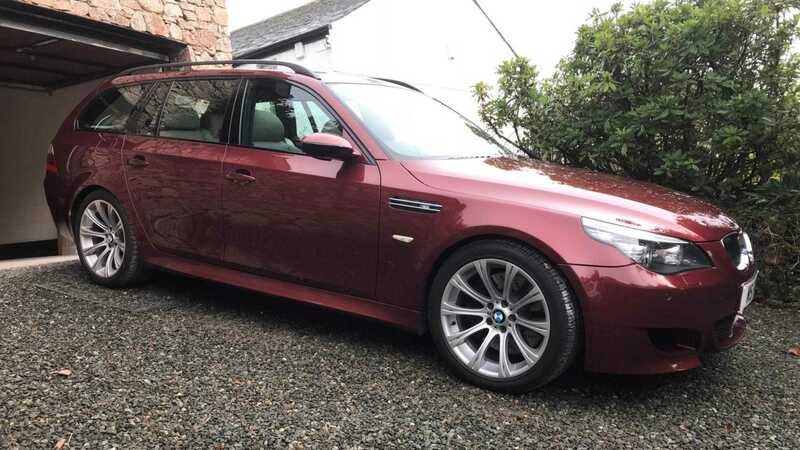 This 2005 E61 is said to be in great condition with 58,781 miles on the clock. Apparently the car ‘wants for nothing’ and has received a recent service. It’s a very cool car that has the respect of petrolheads the world over.